This SL Series Multiport Antenna operates within 698-2700 MHz and is designed to provide pattern coverage that is optimized for indoor coverage requirements. Each port has been designed for specific spectrum coverage over 3G, 4G and UMTS frequency bands. Port 1 is designed for 698-806/1710-2170 MHz, Port 2 for 824-894/1850-1990 MHz and Port 3 for 2500-2700 MHz operation. The patterns are also very uniform and symmetrical, providing systems integrators with the ability to precisely determine cell size, a major benefit in trying to determine cell density and cell overlap for in-building systems. 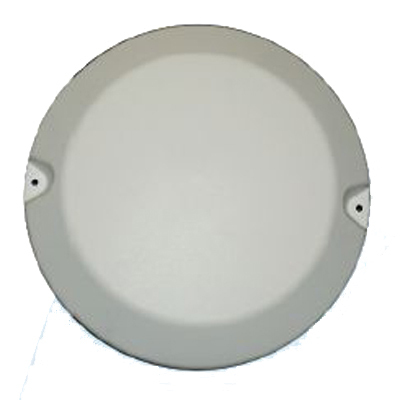 The antenna’s low-profile radome features both a very small footprint and a slim silhouette and is perfect for office and retail spaces where a premium is placed on being aesthetically complimentary and unobtrusive to the existing environment. The standard antenna comes with an integrated plenum rated coax pigtail terminated in various connectors as desired.